So in this post I will reflect and look at the visiting fireman here, the ones I experienced in the corporate world. I still believe they are far from endangered species. Consultants hold a specific fascination for me, they come in all shapes and sizes, offering a bewildering array of solutions for your business. For many clients, consultants have become ‘totally essential’ yet for others a necessary evil. Today with far less resource within our business to call upon and coping with increasing pressure on time there is also this total reluctance to employ someone on the books, it is better to bring it in on an ‘as and when’ basis. Keep it lean and mean, charge it off against that years operating expenses, don’t bring it onto the longer-term books. What comes in and what leaves gives the value to you in you applying their knowledge not just the consultants solution. Often this knowledge understanding totally ‘fails’ to reside or be absorbed as ongoing learning. Partly it is not so easy to transfer, especially to those that are too busy to learn it!. We often miss this critical point of transference and we continually bring in consultants time and time again, actually for the majority of seemingly ongoing work, the repeating part we should be resourcing from inside but never seem to get around to recruiting or convincing others of the need. We also never pick up the rhythm and real understanding how the external expert connected all the dots differently from you and we then fail to copy down the important notes to recreate the understanding. Many time I had to ‘catch myself’ on one particular slide, fascinated how that was put together, failing to hear the message behind it. Have you also noticed how the outsiders always give us those ‘bells and whistles’ we fail to hear within our own immediate surrounding although it was there for us to see but we were too busy to find it, so we simply let others at potentially a higher end cost. In this post I wanted to recall the visit of many visiting firemen when I was running various country operations in different parts of the world for a handful of global corporations. More than one organization called outside expertise “the visiting fireman”. 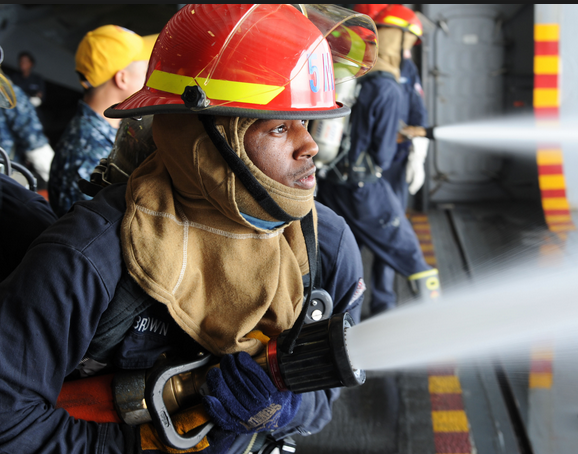 There to help fight the fires, hose down the areas of critical combustion, recommend the essential fire fighting equipment and escape drills you will need from their experience. 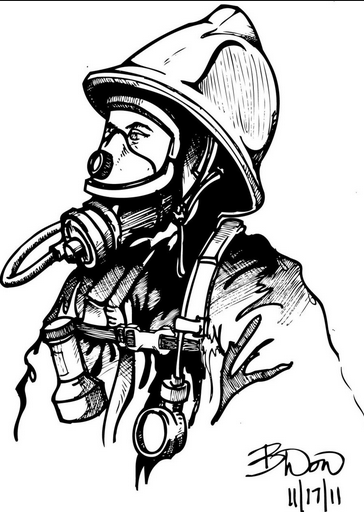 I had experienced three types of visiting fireman in corporate life. 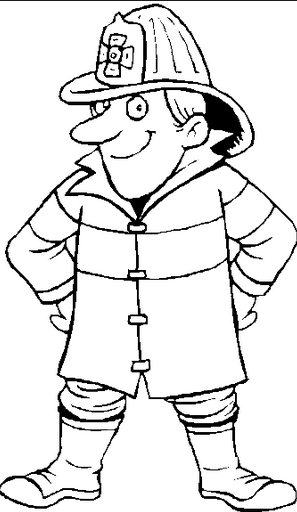 There were three general types; the regional fireman, the corporate fireman and the outside consultant one. Can you relate to these and the mixed emotions they can give you? Are visiting firemen important to your business? Yes I expect they are, they can make the real difference between ‘dosing the fire early enough’ to bringing their expertise and resources to bear, helping in managing that crisis or difficult problem you would be unable to resolve without the outside perspective, contribution or support. Yet they all seem to leave one holy of holy messes. There is always some form of re-building to take place from these consultations. Often I think we all need to ask questions on the value of consultants. Would ‘things’ fall apart without the required dose of consulting medicine? Do they come into the organization, create havoc and then move on? Or do you value them as essential, as you quiet simply do not have the time or resources and expertise ‘in-house’ and they help ensure the delivery alongside you on what is needed within your business? 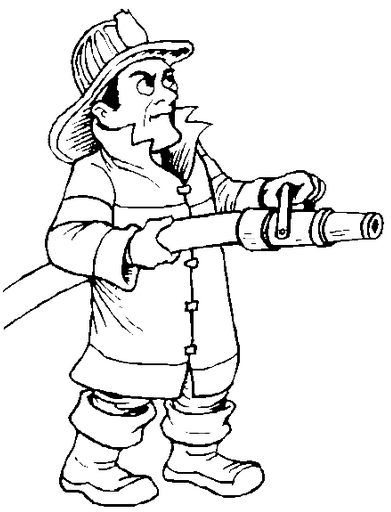 There are three groups of ‘visiting fireman’ associated with large organizations. Do these ring any bells with you? These were my experiences and maybe yours are somewhat different, managing in specific operating structures. I spent more of my corporate career tackling difficult operating conditions, often very thin on resources, battling volatile market conditions. Now that does seem like today’s operating world doesn’t it? These seemed to announce their pending arrival sometimes weeks in advanced to fit their crowded agenda of moving from one type of regional or global meeting to another. Or they were suddenly ‘dispatched’ to handle growing issues. That sudden crisis where they ‘must’ be seen to be on hand, Then we had the Sherpa type preparing future visits, fixing the lines and ropes for visitors from ‘on high’ trying to influence your agenda or shape your presentation. Lastly arriving just a week or so before the key yearly strategic discussion meetings, so as they could be better prepared to fully participate in the discussions to catch up and ‘form’ their opinion. You had to watch the hose on this one, its power and potential disruptive force coming from multiple sources based on latest ‘Intel’ gleaned on these simple fact finding missions. They came sweeping in offering detailed advice on their specialized area, be that marketing, finance or product development. These tended to be the most difficult discussions, as they were pushing often their personal agenda’s, holding back a critical element of the corporate agenda. They often were believing what you were doing was going against company policy, general direction or conflicting with branding issues. I found much ‘creative friction’ in these visits from the regional fireman. Ultimately you may have the final decision, or you thought you did,being responsible for the P&L but these visiting firemen could wreak havoc in the ‘whispering game’ back at regional group, prompting numerous conversations with the regional president to clear these ‘conflicts’ up. Most were short on specifics or detailed understanding, grabbing at potential ‘straws’ to be floated in the corporate wind. I found this group of visiting firemen far less supportive than expected; they had enough understanding to be dangerous but could potentially provide those value additional insights or access to resources you needed. These visits were the most difficult. These were closer inspections to see that the house was in good order and you were not a potential ‘fire hazard.’ It often was a fine balance between their contributing value and what they constrained. These visits often disturbed and confused the local teams. These were usually the corporate executive vice presidents, the chief operating officer, the corporate legal beaver or even the CEO himself. This was a visit where you polished your credentials, went through countless preparations and checks around the facilities. They always had one or two of the regional group in close attendance at least; to point out areas they felt helped the ‘broader agenda’ that “facilitated” the discussions or messed the visit up completely by going off script and you spent the rest of the visit in ‘personal crisis’ mode. These were times of real pressure where you had two to three hours of getting the message across on what was happening, what needed to be resolved, what was missing, what was the value of appreciating making further investments within the country and why it (and you) was relevant in their bigger picture of things. Then off on visiting the multiple manufacturing facilities, you praying continuously that the plants would not come to a grinding halt at that precise moment. A ‘lightning inspection’ by this big-wig where you always know the visitors will simply compare, suggest and sometimes to pick up on something that did not fit with their view but was totally out of your local context. Or how they would become (briefly) misty eyed and comment on “when I was running an operation like this”. 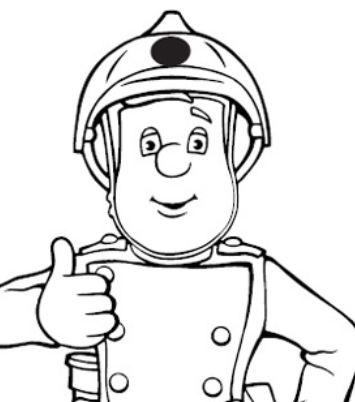 These visits from the corporate fireman often were defining moments, often that career or future investment defining one rested on the ‘good visit’ deemed by all in the food chain that determined your career. I always searched for the opportunities for one-on-ones with this corporate fireman where you got the deepest ‘transfer’ of their knowledge. Cutting out dedicated time from the encircling herd of ‘minders’ allowed for some terrific and intense conversations that become the real bond that cemented understanding. These exchanges allowed for my constant learning of the mind-set of the corporate visitor and the value it gave to what you could contribute into the bigger corporate ecosystem. These visits gave real moments of identity for the team that often drove it on for weeks and months after. These were also times when you could separate personal agenda’s of the more frequent visitor with the corporate agenda, to ‘ground’ your contribution you could make to the corporate set of goals and tasks. These were hugely important visits by the corporate firemen and women. Outside consultants were often brought in on behalf of someone else or because you needed some different perspectives or solutions. They break down into two types. The first type is the ones that arrive to make an assessment on behalf of others always had that ‘air’ of real detachment. That ease of knowing what you don’t know but you would love to find out. They listened, they seemed to always take many notes, made countless photocopies that clearly supported their investigation and only gave away what they wanted too.Then left. These types of visiting fireman is what I regarded as always “short” on advice, even though they had such a potentially richer potential to offer me thoughts than I would benefit from. They were not there for that! I had to work really hard to ‘draw them out’ by separating what they were there for and what issues they could offer me alternative thinking. It was in many of these conversations you gained some terrific insights on alternative practices, possible avenues of investigation to help you. I was recently reading on www.sourceforconsulting.com that only 27% of clients say that the value added by consultants exceeds the amount paid to them in fees when they completed one survey in the Gulf region. It is this group, the ones your engage with as consultants, employed by you that I want to spend some time on, in a future post. This will relate more than likely to innovation consulting, although I think most of the comments and observation can be generally applied to most consulting that is for sure. 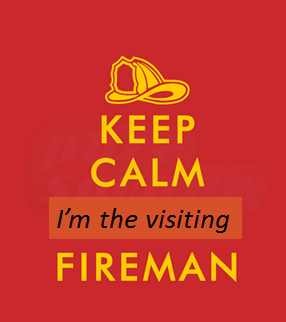 Where do you feel about the visiting fireman, the expert or consultant and how it works for you? Do you suffer from the many mixed emotions I felt? This entry was posted in Polymers and tagged consultants contribution, Consulting engagement concerns, Different types of consultants, innovation consultants, innovation value from consultants, shifting trends in consulting, The need for consulting, Visiting Fireman or Consultants. Bookmark the permalink. ← There are no easy innovation answers.